A global network of experts stimulating discussion. Agatha Kessler has worked as an executive in the worlds of finance and technology, building international businesses in emerging products with VISA and Hewlett-Packard. Energized by the intersection of technology, business and design, in 2007 she joined Fentress Architects as CEO. She holds an MBA and has lived in many cities around the world. Currently, as Chairman of Fentress Architects, Agatha serves on a number of boards, including Opera Colorado and the Design Futures Council. With a keen interest in the future of air travel, Agatha co-founded AERIAL FUTURES and currently serves as Chairman of its Board. She is currently pursuing a PhD in Aviation at Embry- Riddle Aeronautical University. Anna Gasco is a project coordinator and senior researcher at the ETH-Future Cities Laboratory in Singapore (FCL) where she leads the research project “ The Grand Projet - towards adaptable and liveable urban megaprojects.” A native Italian born in Congo, her international career is juxtaposed with research that began in 2011, when she joined FCL. In this multidisciplinary research center, she completed her PhD on the urbanizing effects of airports, particularly that of Singapore Changi Airport. Chartered architect and urban designer, Anna has worked on visionary urban projects at multiple scales and acts as a consultant for both public and private clients in Europe and Asia. Artist and designer Ben Rubin is the Director of the Center for Data Arts at The New School. His work has been exhibited in museums worldwide, including the Whitney, MoMA, and the Science Museum, London. He is an expert in the design of interactive information systems, and he has served as a consultant to IBM, Microsoft, the United Nations, and others. Sound design and acoustics are central to Ben’s practice; Ethicon hired him to redesign the audible interface for their Harmonic surgical instruments, as did HP for their printer and office products. Ben’s awards include an Obie for theatrical projection design, a Webbie for “net art,” an Arts Electronica Golden Nica for interactive art, a Third Coast Audio award, and numerous honors for his public installations. Charles Waldheim is a North American architect and urbanist based in Cambridge, Massachusetts. His research examines the relationships between landscape, ecology, and contemporary urbanism. He is author, editor, and co-editor of numerous books on these subjects, and his writing has been published and translated internationally. Charles is John E. Irving Professor at the Harvard University Graduate School of Design where he directs the school’s Office for Urbanization. He is recipient of the Rome Prize Fellowship from the American Academy in Rome; the Visiting Scholar Research Fellowship at the Canadian Centre for Architecture; the Sanders Fellowship at the University of Michigan; a Visiting Scholar residency at the Architectural Association School of Architecture; and the Cullinan Chair at Rice University. Curtis Fentress is the Principal Airport Terminal Designer at Fentress Architects, an international design studio he founded in Denver, Colorado, in 1980. He is also the Co-Founder of AERIAL FUTURES. Curtis’ airports have garnered recognition worldwide for design excellence and an outstanding “airside-to-curbside” traveler experience. These include game-changing international airports such as Denver, Incheon and the Tom Bradley International Terminal at LAX. Recipient of the AIA Tomas Jefferson Award for Public Architecture in 2010, Curtis has developed a reputation as a hybrid architect, developing iconic design and high-profile public architecture. Cynthia Davidson is Executive Director of the nonprofit Anyone Corporation architecture think tank in New York City and editor of the international architecture journal Log and the former ANY magazine, a tabloid she edited from 1993–2000. She is responsible for more than 40 books in print and oversees the Writing Architecture series published with MIT Press. Cynthia also organizes exhibitions, including co-curating the US Pavilion at the 2016 Venice Architecture Biennale, and has hosted a number of cross-cultural multidisciplinary conferences on architecture at venues far and wide. Occasionally she writes for periodicals that begin with the letter ‘A’, including Artforum, Arquitectura Viva, AA Files, and Abitare. A former Loeb Fellow at Harvard’s Graduate School of Design, she was recognized by The American Academy of Arts and Letters with its Architecture Award in 2014. Devin Liddell is a Principal Futurist at TEAGUE, working collaboratively with clients such as Boeing, Intel, JW Marriott, Nike, Starbucks, and Toyota to design new futures in aviation, automotive, smart cities, personal mobility, space travel, and more. Devin also leads TEAGUE’s future-focused conceptual projects. Most recently, these have included: Poppi, a vision for an airline of the future, and Hannah, a proposal for the future of autonomous school transportation.With nearly two decades of experience in brand strategy and design, Devin has worked across a broad spectrum of industries: aerospace, education, software/technology, food and beverage, and retail; some of his past clients include Amazon, GE, Nordstrom and Viacom. He’s a frequent contributor to Fast Company, and he teaches regularly at the School of Visual Concepts in Seattle. Ginger S. Evans is CEO of Reach Airports, a US-based airport management joint venture between Munich Airport International and The Carlyle Group’s CAG Holdings. Over the past three decades, she has successfully served in key leadership positions of government agencies and private firms within the aviation and transportation industry. Evans has worked with in private consulting on major aviation projects in Europe, the Middle East, and Latin America, as well as rail projects in New York and Washington. At Reach Airports, she is responsible for the overall management of the company, business development serving the North American market, and partnerships with airport-related services firms. She is a member of the National Academy of Construction, and the International Women’s Forum, and currently serves on the technical committee of Ainda Energia & Infraestructura and the Executive Committee of Transportation Research Board. Greg Lindsay is a senior fellow of the New Cities Foundation – where he leads the Connected Mobility Initiative – and the director of strategy for LACoMotion, a new mobility festival in the Arts District of Los Angeles. He is also a non-resident senior fellow of the Atlantic Council’s Strategic Foresight Initiative, a visiting scholar at the New York University’s Rudin Center for Transportation Policy & Management, urbanist-in-residence at URBAN-X, and co-author of Aerotropolis: The Way We’ll Live Next. James P. Cramer is the former Executive Vice President/CEO of The American Institute of Architects. He served on the AIA Board and its executive committee for thirteen years. He is a Richard Upjohn Fellow of the AIA. In 1994 he founded the journal Design Intelligence and the think tank, The Design Futures Council. He Chaired the DFC for 20 years and now serves as Chair Emeritus and Senior Fellow. James is an educator, author, and strategist. He is Faculty Lecturer at the Georgia Institute of Technology and Distinguished Professor of Architecture at the Savannah College of Art and Design. He has written six books on the trends, shifts, and challenges of a rapidly evolving AEC Industry. He is an honorary member of AIA, IIDA, and RIAA. He is a Senior Fellow of the Design Futures Council, as well as a Leadership Fellow of the WBSI, La Jolla and Los Angeles. Today, James serves on several governing boards including professional practice, corporate, and not-for-profit. He is also member of several think tanks on the future of the AEC Industry including at the Digital Building Lab at the Georgia Institute of Technology where he offices. Jonathan Ledgard is founder of the Rossums studio and inventor of the Redline (blood delivery) and Blueline (heavy commercial delivery) concept for cargo drones in Africa. He developed the first typology of a droneport for the tropics with Lord Norman Foster. He was a director of future Africa at EPFL in Switzerland and served as a longtime foreign and war correspondent for The Economist. Separately, he is a novelist. His last novel, Submergence, a New York Times book of the year, was adapted for Hollywood by Wim Wenders. His second novel, Submergence, was a New York Times book of the year and is currently being adapted for Hollywood by Wim Wenders. Jonathan Massey is a Managing Principal with Corgan, where he is the head of Aviation. For the past 25 years, he has played a key role in numerous terminal projects ranging in scale from Shanghai Pudong’s 110 gate Satellite Concourse, to state of the art terminals for Southwest Airlines. Jonathan’s project experience includes passenger terminal feasibility, planning and design, airport master planning, support facility design and operational planning. His focus is functional optimization, a tailored passenger experience and an effective planning and design process. Jonathan is a licensed architect in multiple states and a LEED Accredited Professional. Mario C. Diaz is Director of the City of Houston Department of Aviation. He is responsible for the executive leadership of the Houston Airport System (HAS) and its three aviation facilities — George Bush Intercontinental Airport (IAH), William P. Hobby Airport (HOU) and Ellington Airport (EFD) — and its more than 1,300 employees. He is one of the industry’s leading authorities in the study of future developments in commercial aviation. In 2013, Mario was named “Airport Director of the Year” by Airport Revenue News Magazine. Max Hirsh (PhD, Harvard) is a professor at the University of Hong Kong and a leading expert on airports, migration, and transport infrastructure. He is the author of Airport Urbanism: an unprecedented study of air travel that incorporates the perspective of passengers, architects, planners, and aviation executives. With a particular focus on the rise of Asia, the book sheds light on the exponential increase in global air travel and its implications for the planning, design, and operation of airports worldwide. Max also writes the popular blog airporturbanism.com, where he presents leading-edge strategies for tackling the challenges that confront airports today. Dr. Ronald M. Sega has served as Director and Woodward Professor of Systems Engineering at Colorado State University (CSU) since 2007 and Special Assistant to the Chancellor for Strategic Initiatives from 2013 to present. From 2010 to 2013, he was Vice President and Enterprise Executive for Energy and the Environment at CSU and The Ohio State University, a unique, shared position between two Land-Grant universities. Ron also held the position of Vice President for Energy, Environment, and Applied Research with the CSU Research Foundation from 2007 to 2010. 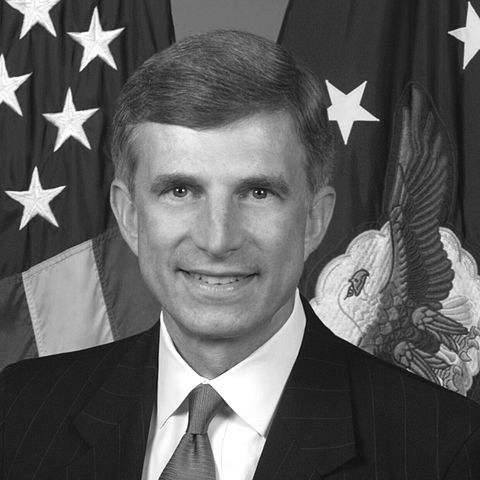 From August 2005 to August 2007, he served as Under Secretary of the Air Force. Ron is a retired Major General in the United States Air Force and became a NASA astronaut in July 1991 after selection in 1990, and from November 1994 to March 1995, he was the NASA Director of Operations, Star City, Russia. A veteran of two space flights, he logged over 420 hours in space and is the recipient of many awards, including the Colorado Space Hall of Fame in 2016. Based in Singapore, Thomas D. Pellegrin brings nearly 20 years of management advisory experience in aviation and aerospace in Europe, North America, the Middle East and Asia. He currently leads the International Air Transport Association (IATA)’s consulting team for Asia-Pacific. He previously founded and led PricewaterhouseCoopers (PwC)’s global Aviation Center of Excellence out of Dubai, UAE. He has delivered numerous operational strategy consulting engagements with aircra manufacturers, airlines, airports, maintenance, repair and overhaul (MRO) operators, and civil aviation authorities. Thomas holds a Master of Management from Grenoble Graduate School of Business, an MBA from the George Washington University, and is pursuing a PhD in aviation with Embry-Riddle Aeronautical University. He is also a private pilot.